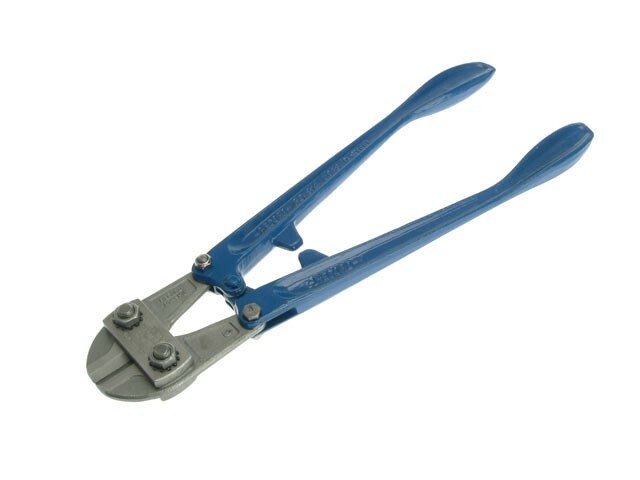 IRWIN Record Cam Adjusted High Tensile Bolt Cutter (BC Series) with jaws specially heat treated for cutting very hard materials up to Brinell 500, (Rockwell C52, 110 tons/square in). Special design for quick simple adjustment, yet still offering heavy-duty cutting performance and hard working reliability. The lighter handle construction is ideal for difficult or uncomfortable situations.